The Christmas ham is in the oven, rice porridge bubbling on stove, gravlax done, vendace roe defrosted and bread baked. I'm ready to start my Christmas. 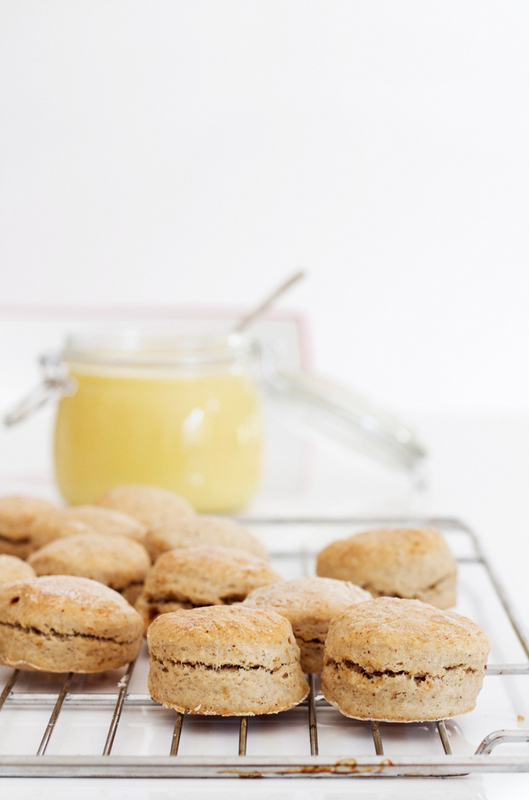 Warm the buttermilk to hand temperature and mix in the yeast. Add all other ingredients and stir until everything is mixed. Avoid kneading. Divide the batter in three loaf pans. Leave to rest for ca. 1,5-2 hours or until the dough has doubled in size. Bake first in 175°C for 30 minutes and then in 150°C for another 1h30min. Timo Alarik Pakkanen has had the same yearly routine for the 54th year in a row now. It all started with visiting the neighbourhood families, but grew to quite remarkable dimensions. He has done charity, he has marketed Finland for years and most of all, he has made people happy all over the world. And for all that the Finland Chamber of Commerce awarded him with a gold medal for life’s work after wearing the red outfit for 50 years. The first 50 years. And his last name translates into what else than freeze, or frost. 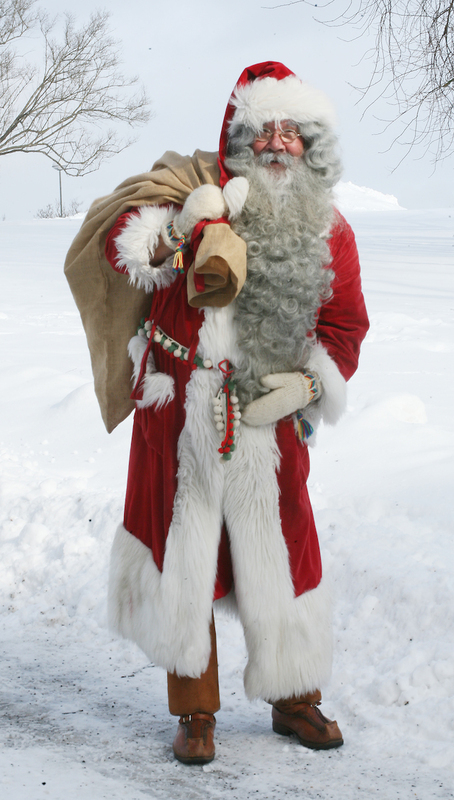 Pleased to introduce you to Mr. Pakkanen, better known as Santa Claus. As commonly known, Santa is quite occupied during the pre-Christmas season, but gladly the hundreds of years old white-beard knows his way with modern technology. I skyped with him while he was having a free morning in Cyprus, where he’s doing a six-week Santa gig. 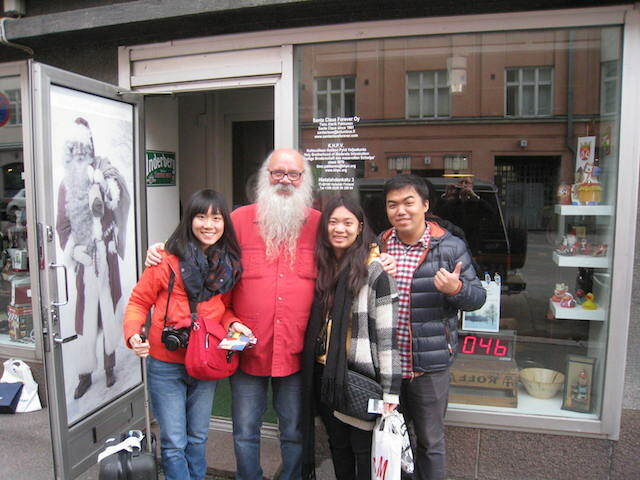 Along with many other European countries, he’s brought Christmas spirit to Jordania, Thailand, Taiwan, Singapore and Japan, where he was the official Finnair Santa for many years, until now. Last spring, Santa Claus Licensing Ltd denounced his official Santa license due to “his actions not equivalent with the foundation’s values”. Since 1978 he’s been the chairman of KHPV, Kohtuullisen Hutikan Pyhä Veljeskunta, The Holy Brotherhood of Moderate Intoxication. A beer society for “old-school beer enjoyers”, as he describes, with a mission to promote the Finnish beer culture but also the moderate and reasonable way of life. And that’s something the Santa foundation couldn’t digest. Apparently, in their opinion, being a spokesperson for moderate way of drinking is not suitable for a Santa, they would require total absolutism. Santa suggests enjoying beer, not drinking it with both hands. The beer culture is blooming in Finland: Grocery store beer shelves are filled with numerous options and also the restaurant business has invested in their craft brewery selections. But for the Finnish microbreweries things have been made very difficult. The soon-to-be tightened alcohol legislation will for example forbid all outdoor advertising. Santa also points out that Finnish vineyards are allowed to sell their products in their own retail store on the premises, but breweries not. From Santa I also asked for his favourite pub in the city. He still names Pub Angleterre as one of his favourites, although it has changed a lot from it’s ‘good old days’. 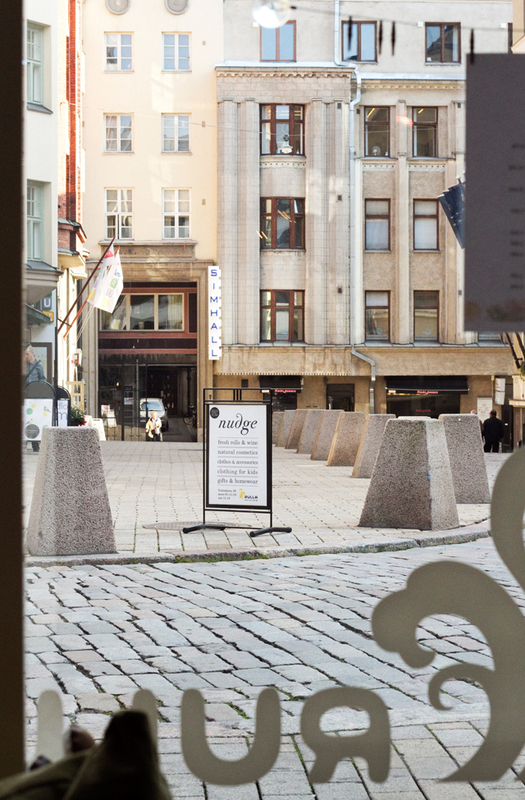 Of the newer ones he recommends brewery restaurants Bryggeri and Bruuveri. But I also wanted to know where Santa could be found having dinner in Helsinki, if the beer theme would be set aside for a while. Along with classics like Salve, Kannas or the Rivoli pizzeria, Rivoletto, he mentioned one restaurant I had never heard of: Viking restaurant Harald. Their “särä” on the menu is supposed to be prepared the orthodox way: Lamb and potatoes braised in a wooden (birch) trough for several hours. I can only imagine how well Santa with his beard, a pint of strong beer and a hearty portion of särä go together. GLÖGI, GLÖGG, MULLED WINE, VIN CHAUD, GLÜHWEIN. WHATEVER YOU CALL IT, IT'S HERE. I like dogs, my husband likes cats. I’d rather stay indoors, he enjoys the outdoors. I take my showers hot, he showers with this weird, almost lukewarm water. 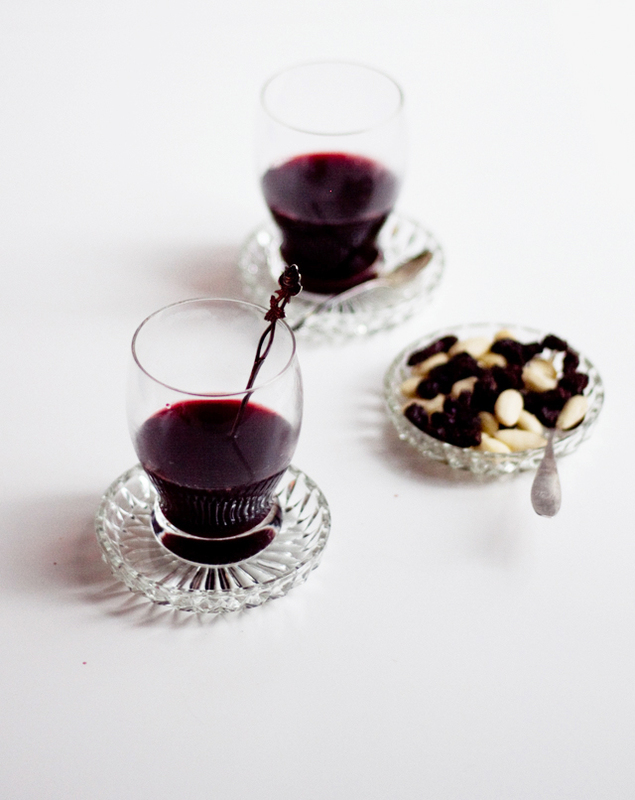 I’d love to start the glögi season in November, my husband would prefer saving it for the holidays. With the dog vs. cat thing we shall never agree but otherwise we're doing just fine. Being together requires compromising: He forces me to go out, we never shower together and I start drinking glögi only after 6th of December, the Finnish Independence Day. Last Saturday was the 6th, so here you go, one with redwine, black currant and a quite traditional spice combo and the other with white wine, elderflower, lime and mint. Kind of a warm winterly Hugo. 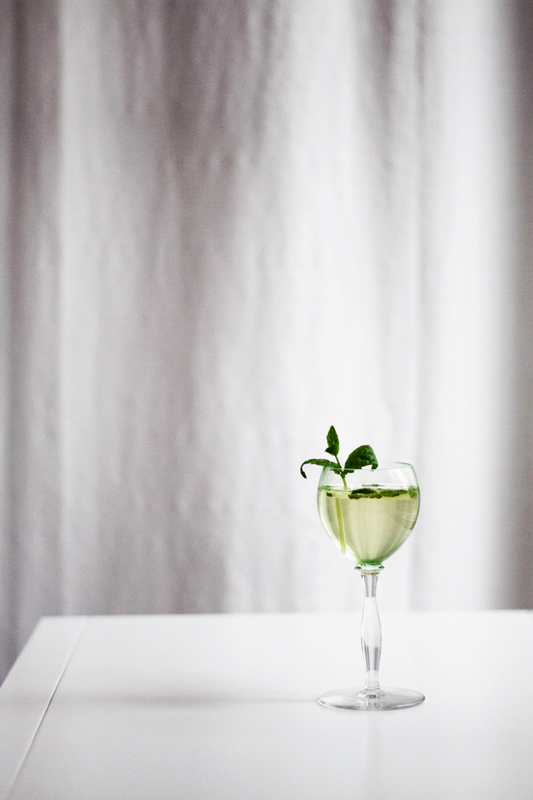 Measure the elderflower cordial and lime juice in a sauce pan. 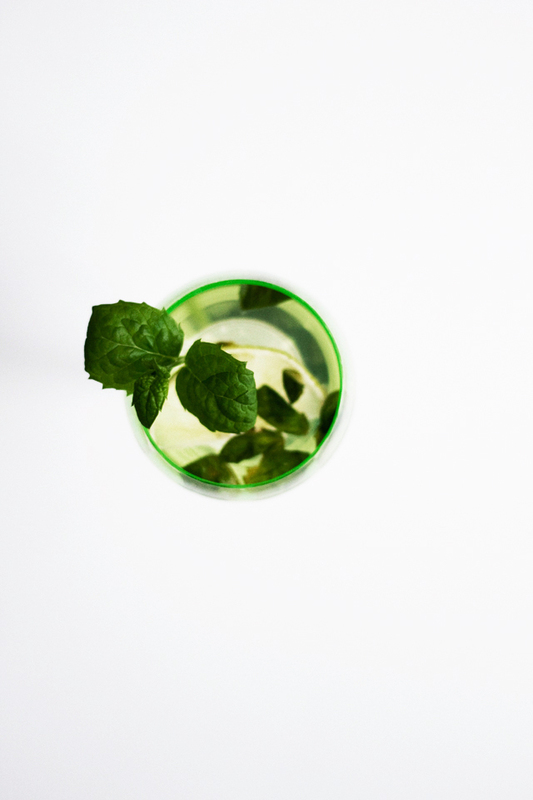 Add some chopped up mint leaves and bring to boil. Pour in white wine, heat up, but make sure not to boil anymore. Put the frozen berries with water and all the spices and fruit wedges in a pot, bring to boil and let simmer for 30 minutes. Pour the juice through a sieve and then back to the pot. Add sugar and bring again to boil. Mix well so all the sugar dissolves. Add red wine and heat up, don't boil! Serve with almonds and raisins. 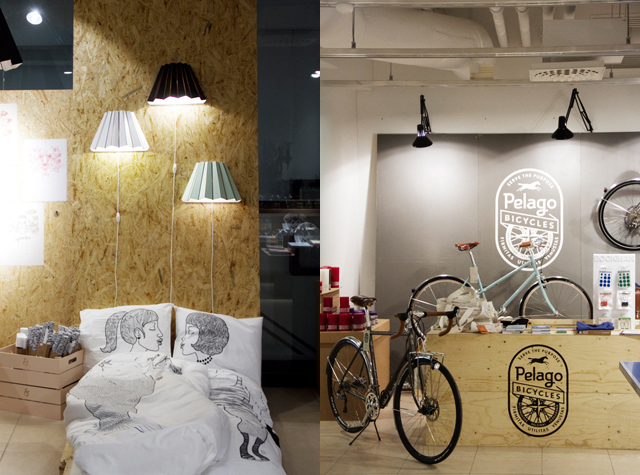 Concept stores & gift shopping are a match made in heaven. 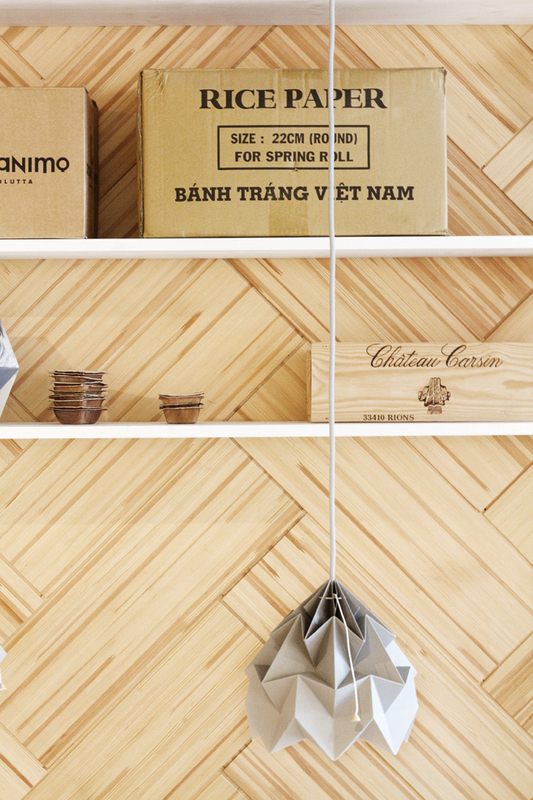 On one single shopping tour you get a book for your mom, a handmade toy for your newborn niece, a beautifully packed candle for the kid’s school teacher and surely you find a solution what to get for the ever-so-difficult-to-find-a-gift in-laws too. And while at it, maybe something small for yourself. At least a cup of coffee. 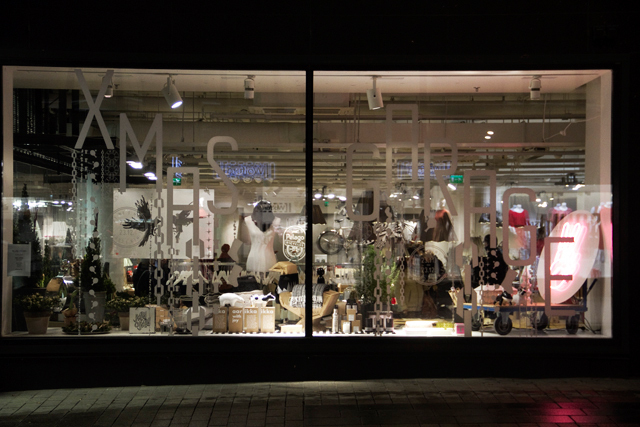 I went to check out the Xmas Garage, a pop up concept store curated by the across the street My o My store. 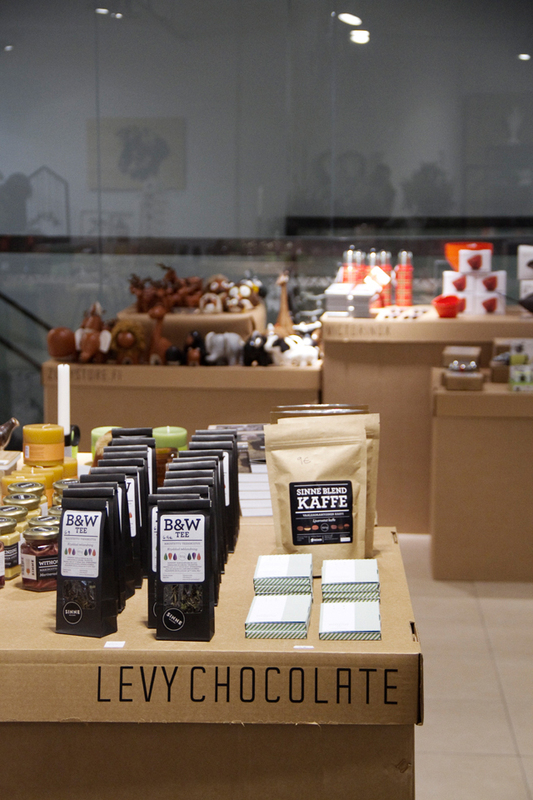 Piled on the big brown cardboard boxes you find products from &Bros, R/H, Tikau, Pelago Bicycles and many others but you can also grab along some eatable goodies for example from Sinne or Levy Chocolate. 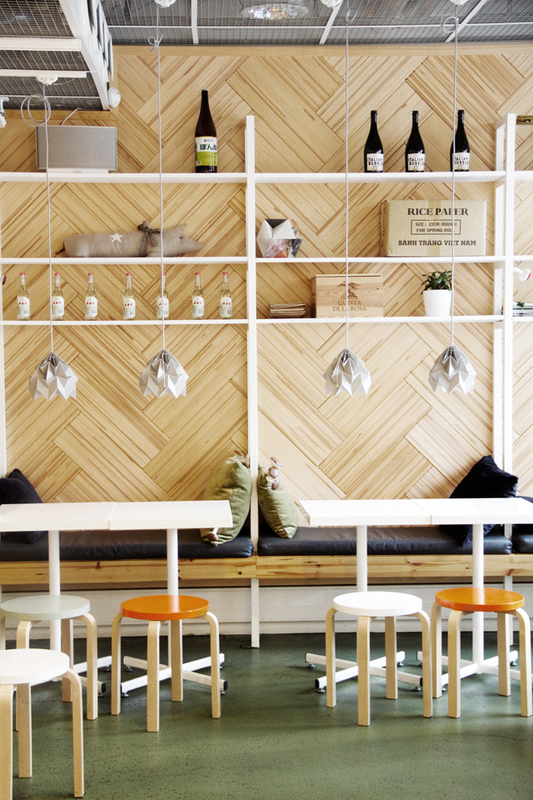 And have the cup of coffee (and a cupcake) at Brooklyn Café. 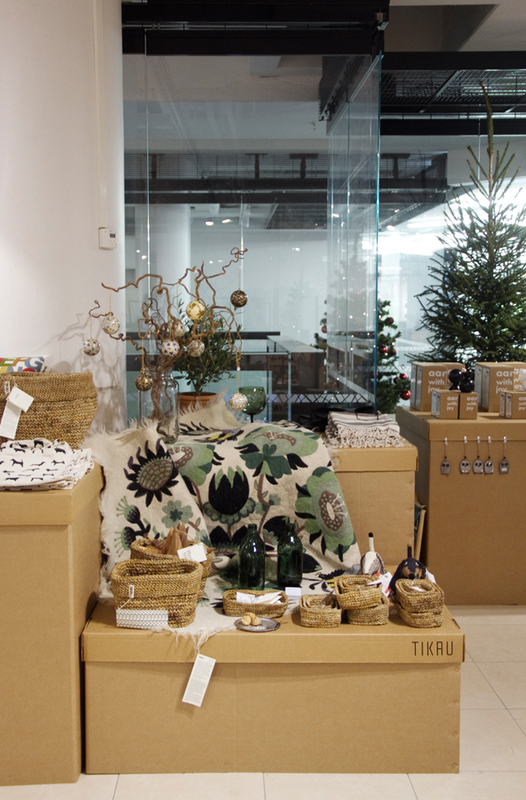 ORNAMO DESIGN CHRISTMAS SALES 5.-7.12. HAKANIEMI MARKET SQUARE'S CHRISTMAS MARKET 7. & 14.12. Why? 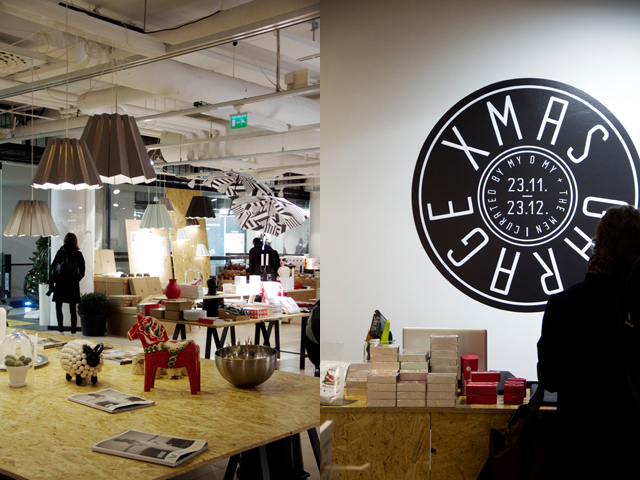 The Finnish version of the must have Christmas Market of every European capital. WE GOT BEEF CHRISTMAS MARKET 12.-14.12. Why? 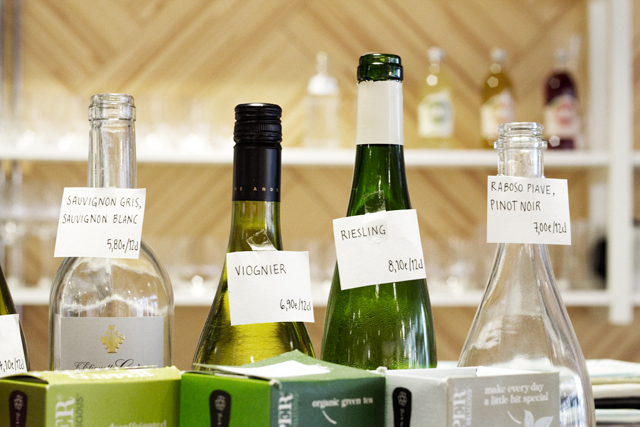 After shopping start sipping and hang in the bar until 04.00. 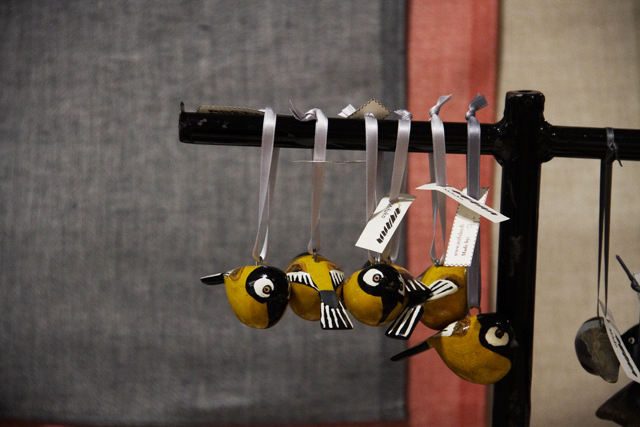 CABLE FACTORY'S CHRISTMAS FESTIVAL 12.-21.12. Why? Workshops, gymnastics and bingo! Among other things. KORJAAMO CHRISTMAS MARKET 13.-14.12. & 20.-21.12. Why? 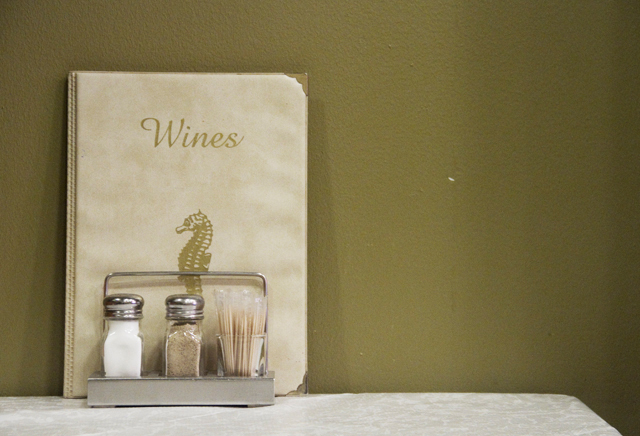 Sushibar & Wine next to it. Why? Go see for yourself! After having spent eight days under the Portuguese sun, we landed on cold, drizzly Helsinki-Vantaa Airport. 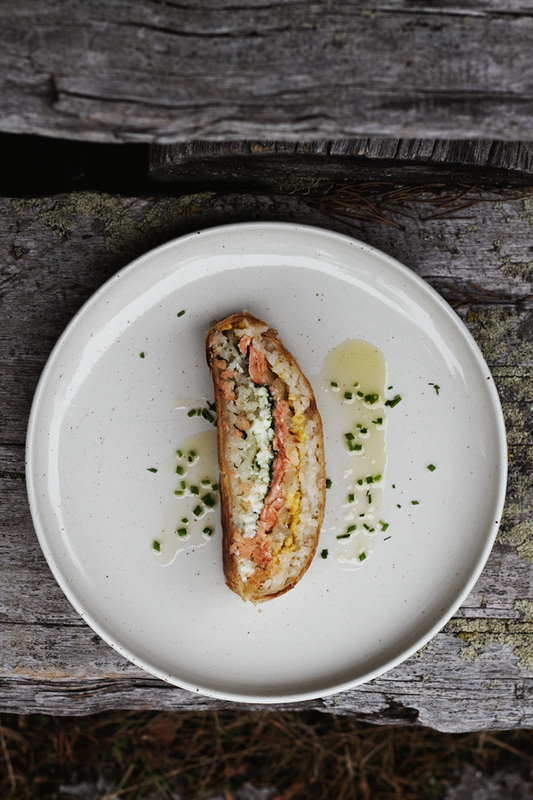 Our oldest daughter stared out the plane window, a bit discouraged, and said she hopes at least that grandma and grandpa have made salmon coulibiac for Sunday supper. Perfect comfort food for the November rain. Especially when made by the grandparents. Cook the rice in well salted water (see the package instruction for the amount of water) and let cool. Boil the eggs (hard), peel them and separate the yolks from the whites. Cut both up (separately). Chop the onion finely and sauté in butter until soft. Cut finely the dill as well. Cut the gravlax in thin slices. Roll out the dough into a rectangle (I like my crust very crispy but thin, so I’d recommend to roll it to 3-5mm thickness). Spread half of the rice evenly in the middle of the rolled-out dough. Make sure you leave ca. 5 cm border on all sides. Spread the finely cut egg yolks on the rice and then half of the chopped dill. Next put the thin gravlax filets and then the rest of the dill, followed by egg whites. On top, spread the rest of the rice. Fold both long sides of the dough on top. (You might need some water to make the dough borders stick together better.) Then fold over the ends of the dough as well. Place the coulibiac on baking sheet by flipping it upside down, so that the seam side ends up underneath. Brush the coulibiac gently with whisked egg yolks. Bake in 160°C for about 1h. (Put some foil on it if it starts to get too much colour.) Serve warm with melted butter. A couple years back Tyler Brûlé wrote in Monocle, that if you eat only one meal in Helsinki, go eat the beef steak in Sea Horse. 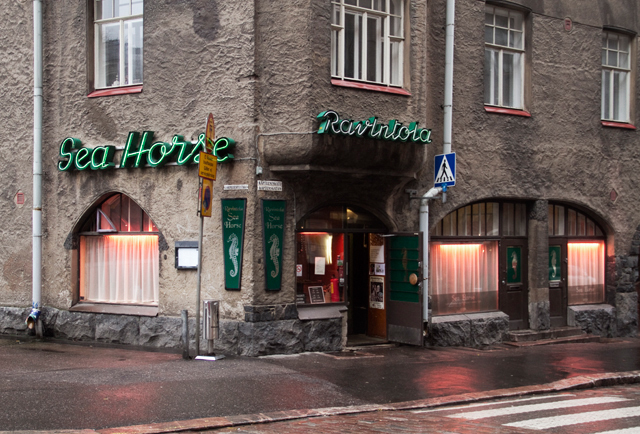 Their beef steak I’ve never had, but still I'd likewise recommend Sea Horse to all Helsinki-goers. 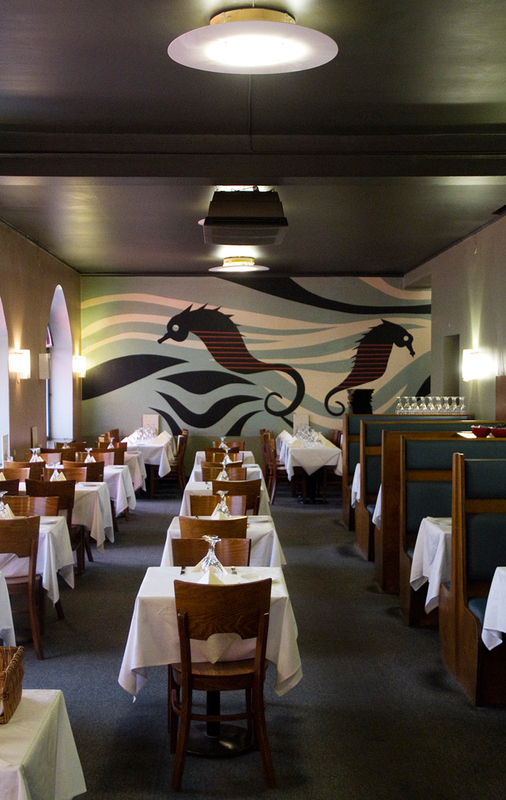 Every city has it’s classics and Sea Horse is one of Helsinki’s. Founded in 1930s and still located on the same corner of a south Helsinkian art nouveau castle. 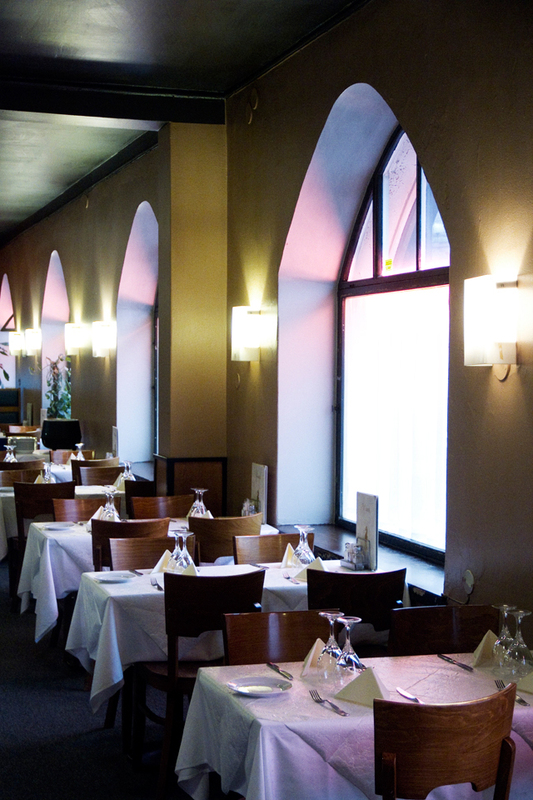 Portions are hearty and generous and with the interior the whole atmosphere makes you feel like stepping back in time. The clientele is broad and diversified, but everyone gets the same treatment. The service is always laid-back and straightforward, kind of old school too. To be called a classic, a restaurant needs a classic menu with dishes that never ever leave the menu. Whether it’s the grilled liver for my husband, the pike-perch à la Mannerheim for me, or the beef steak with fried onion, sour cream, pickled cucumber and fried potatoes for Tyler Brûlé, you can count on the fact that they are on the menu for future visits as well. Like the crispy Baltic herrings which are on the menu since the 50s already. 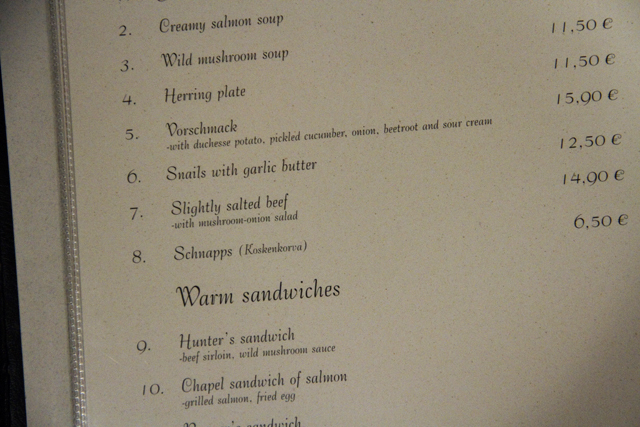 Though the portion size has changed during the years: It was reputedly increased to sixteen Baltic herrings after Dizzy Gillespie had visited Sea Horse. According to legend, the trumpeter went to the kitchen to ask for more after having finished his plate. 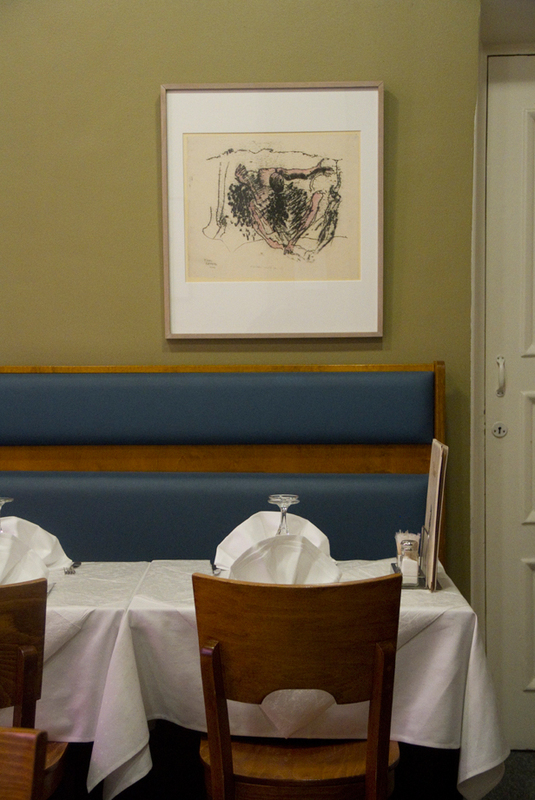 For a piece of traditional Finnish restaurant culture, I'd suggest to book a table. A friend of mine was reading the September issue of Observer Food Monthly in London some weeks back and sent me a picture of a page in the magazine with my bread on it. 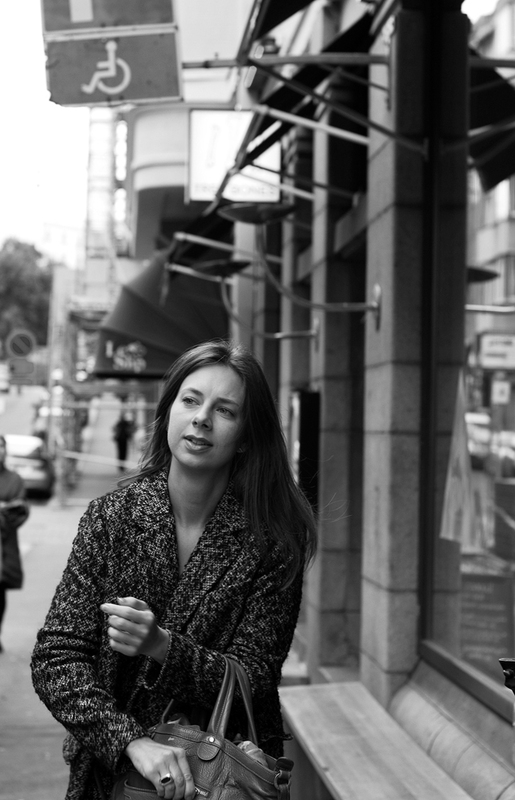 To be more precise, it was a picture of a book and the story was an interview with the book's author, Malin Elmlid. 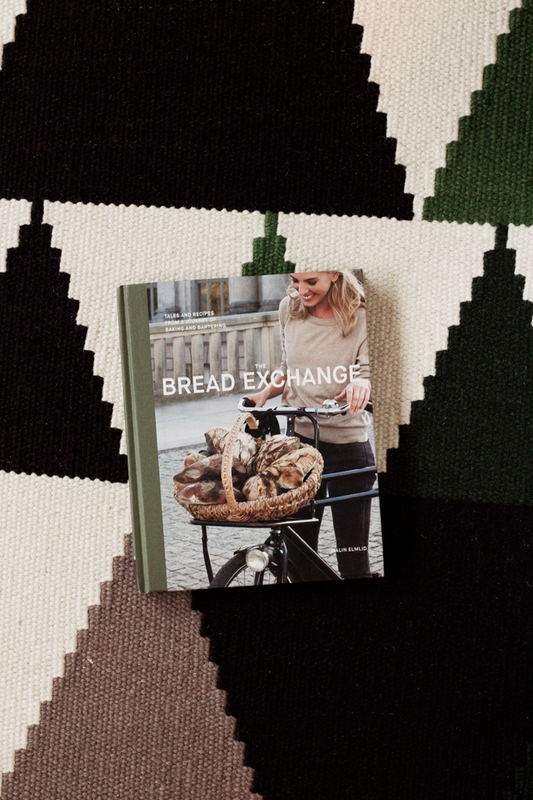 Why a picture of my bread wrapped in parchment paper ended up in Malin's book is a longer story. First the bread's recipe. Mix all ingredients into a thick dough. Cover and let rise in room temperature at least 12 hours. Add the water and flour to the pre-dough and knead it for 10 minutes. Add salt and knead it for another 5 min. Let the dough rest for 1 h.
Split the dough in two pieces on a well floured surface. 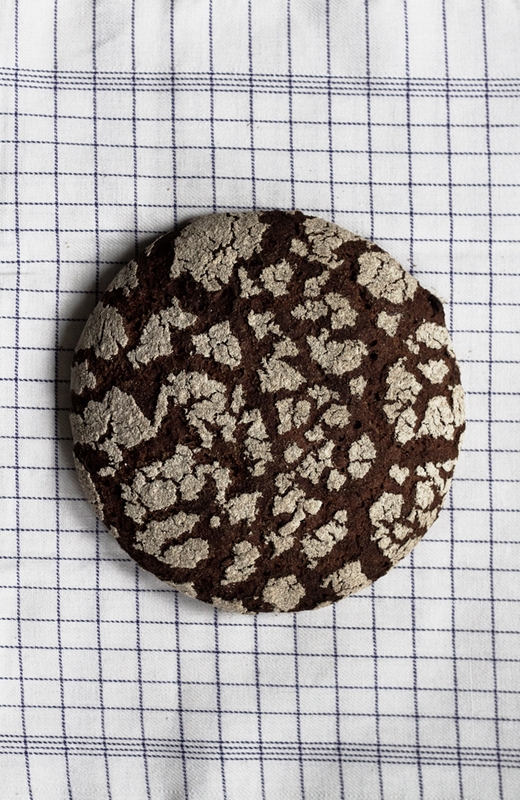 Shape into round breads and sift plenty of rye flour on top. Put breads in the pre-heated oven and lower the temperature to 200°C. Bake the breads for about 60 minutes and let cool on a wire rack until they reach room temperature. Some years back, craving for good bread, she got into the world of sourdough baking. Being kind of obsessed of learning to make the perfect loaf, she baked a lot and also started to share her breads to friends and neighbours. Someone once payed back for the bread by giving her a ticket to Berlin Philharmonic concert. That was the kick off for a project she named The Bread Exchange. Malin put up an Fb group to share when and where she’d be baking, while her job in fashion industry took her around the world. She barters her handmade loaves to whatever the trader offers. A secret family recipe, a guitar lesson, a bike repair or a jar of pickles by someone’s dear grandma. Things that mostly have a special meaning to the ones trading with her. 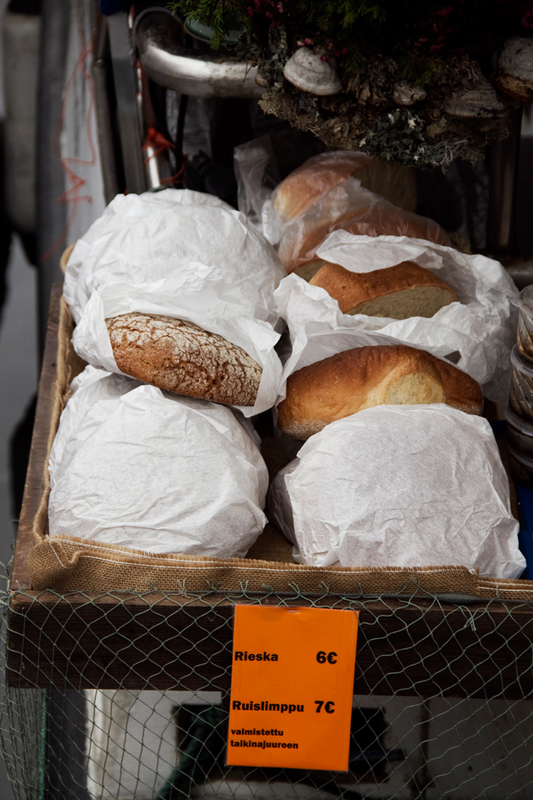 I bumped into her story a few years ago and read on her website, that the one thing she refuses to trade to, is bread. EXCEPT Finnish rye sourdough bread. 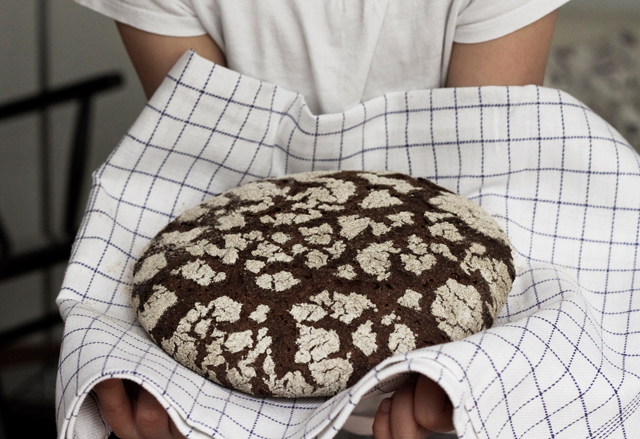 So once, visiting my lil sis in Berlin, I packed a rye sourdough loaf in my suitcase and set up a date with Malin. The mulberry bread with British sea salt I got from her, paired with KaDeWe’s cheese counter treasures, was a match made in heaven that afternoon. After more than 1000 barters, the Berlin-based Swede has just published a book of her crazy cool project. 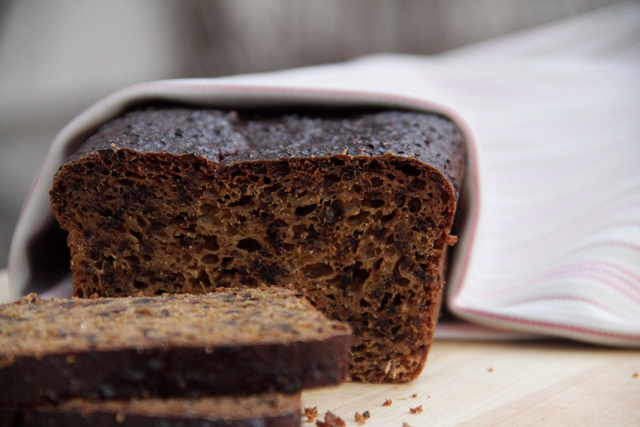 And yes, there’s also the little pic of my rye sourdough bread in it. One for the road. 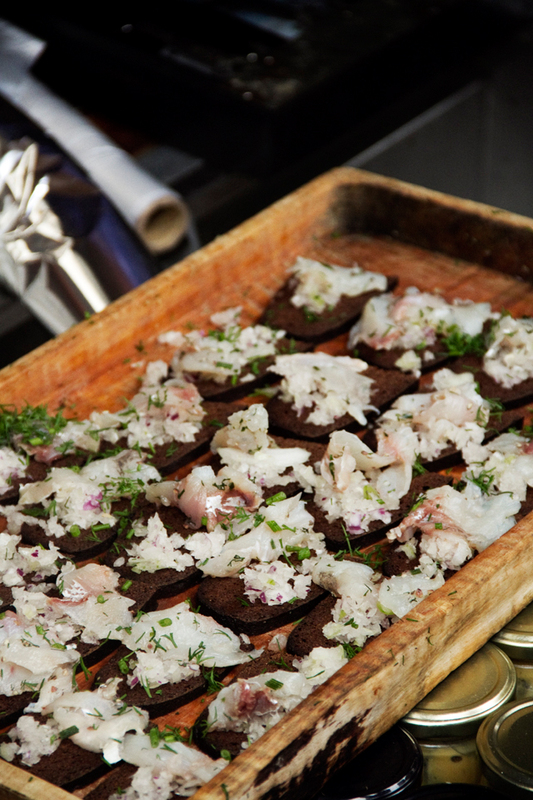 Baltic sea's own goldfish, smoked Baltic herring. Mix together all ingredients and add pinch of salt if needed. 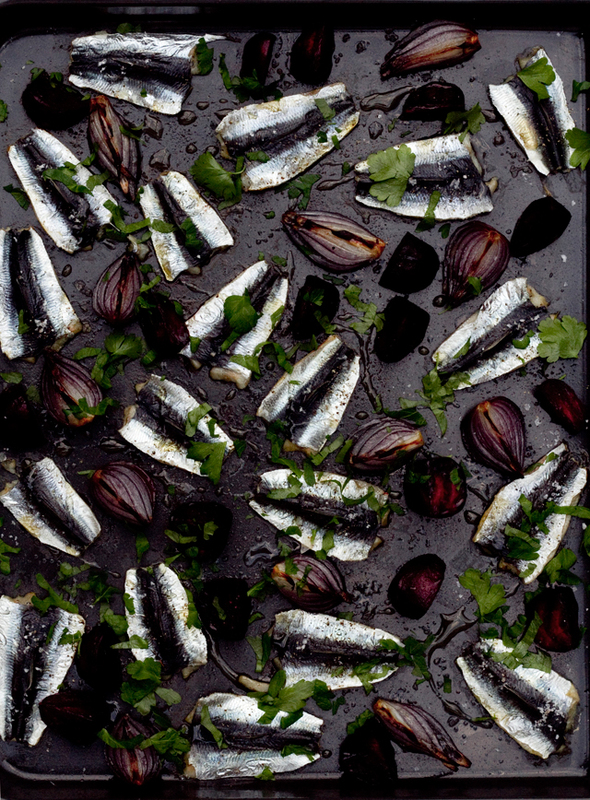 Perhaps not beating the previous Baltic herring recipe, but oh so good. Actually you shouldn't even be comparing pickled and oven-baked things, since they're from two different planets. Brothers from different mothers. Or actually the opposite: The mother is the same, but still the brothers ain't related. 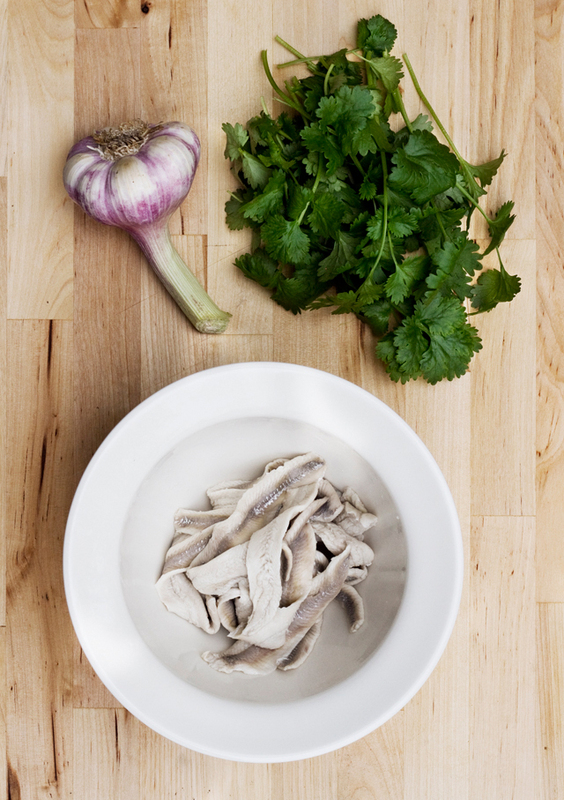 Remove the fillets from the skin (just by using fingers). Mix together water, white vinegar and salt. Toss in the fillets, set in fridge and let cure for at least 4 hours (or overnight). 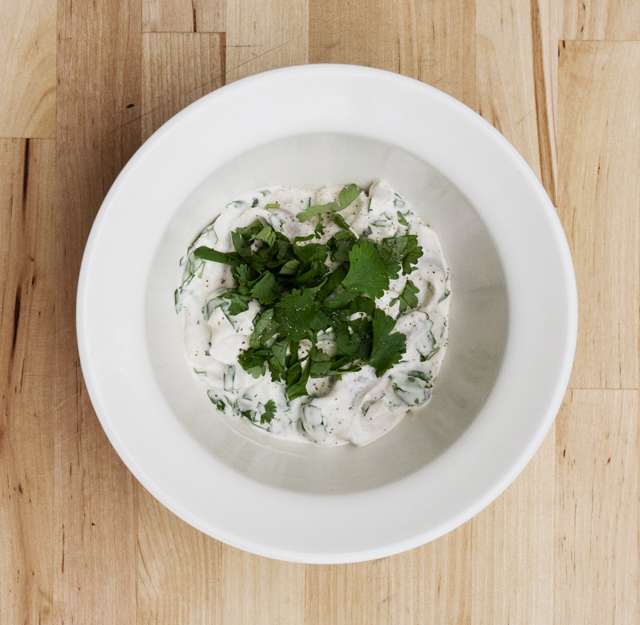 Mix together mayo and crème fraîche, add garlic and chopped coriander. Add the cured fish fillets and marinate in fridge until next day. 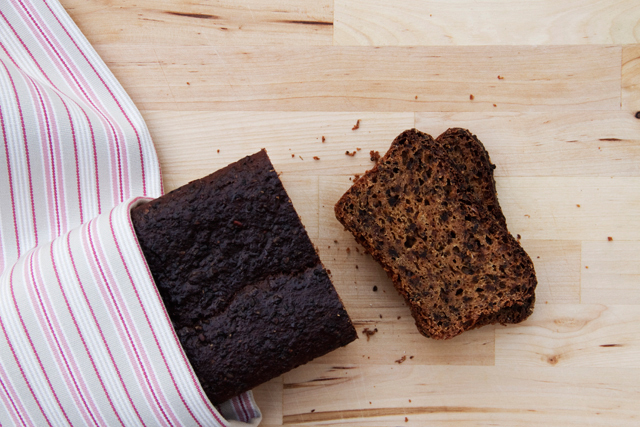 Serve on toasted (rye) bread! "The best I've had for a while" I wrote as a comment, when posting a picture of the dish last Sat on Food from Hel Instagram. 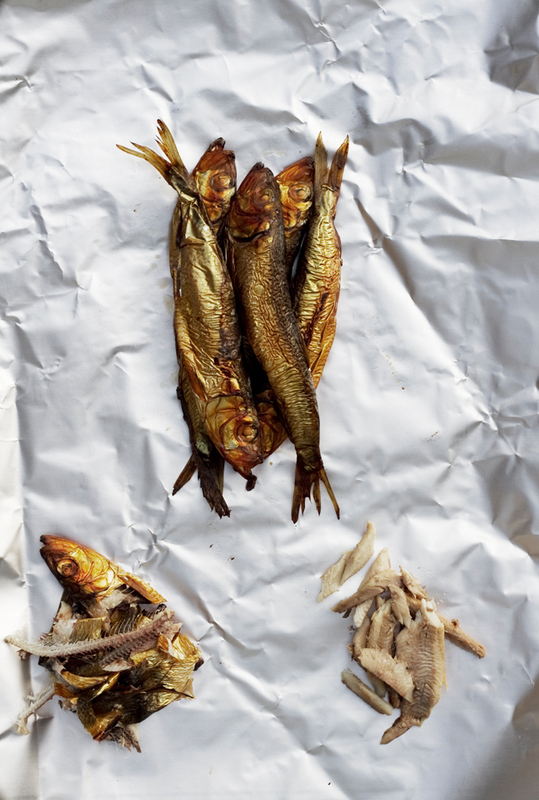 "The best Baltic herring I've ever had." Oh, and more Baltic herring to follow tomorrow. Hard to beat this one though. Peel and cut up the beetroots and onions. Toss them around in oil and put on a baking sheet. Bake in 225°C ca. 20 minutes. 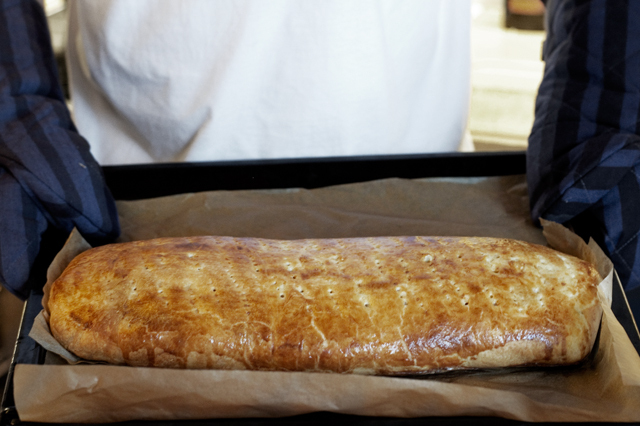 Take the sheet out of the oven and place the Baltic herring fillets on it. Add salt on both, fish and vegetables, and ground some black pepper. After baking, dribble honey on fish fillets and veggies and garnish with shredded parsley. Serve with cold smetana or similar sour cream. 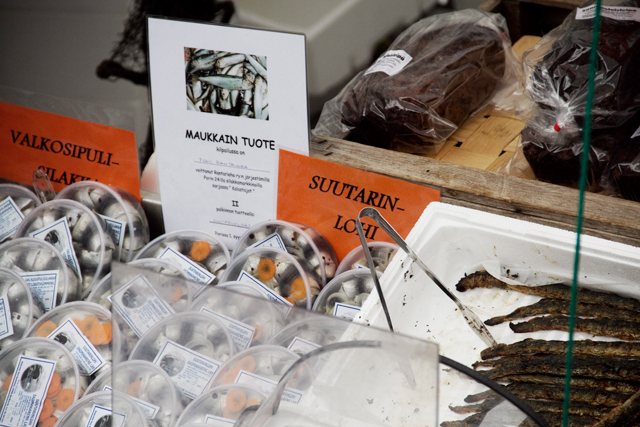 It’s again the week of the year, when Helsinki’s Market Square is packed with pickled and marinated fish. 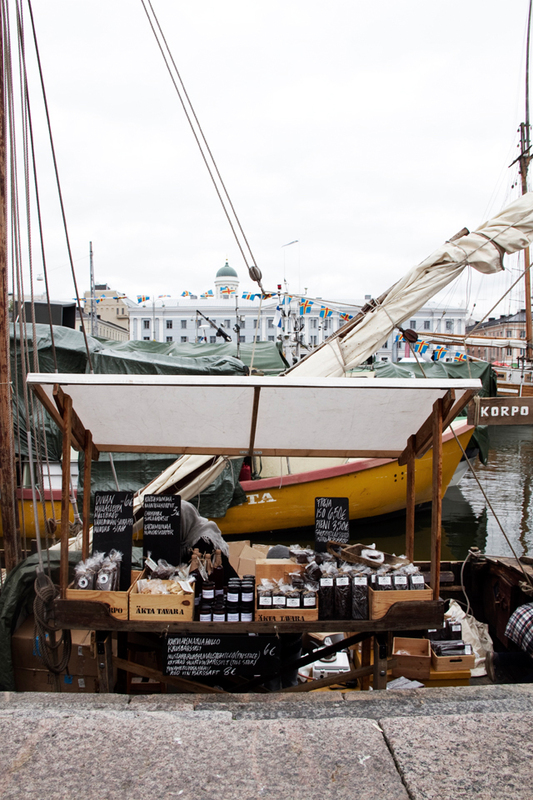 For the 272nd time already, the Helsinki Baltic Herring Fair brings fishermen to the city to sell their cured Baltic herring. 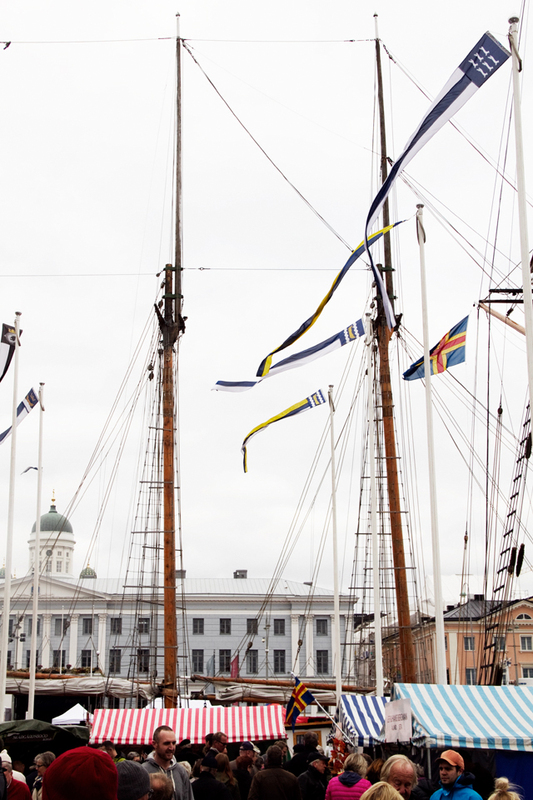 The fair is one of the oldest traditional events of the city, dating back to the 18th century, when people bought piles of salted Baltic herring in autumn, in order to make it through the long months when the frozen sea kept the fishermen onshore. In comparison to the glorious old days (128 boats in 1958), this year’s 19 boats around the dock isn’t that many. A fisherman suggested on Helsingin Sanomat newspaper interview, that the previous fisher generation is getting old and the younger ones prefer to find an easier way to make a living. I’m sure all the nowadays’ regulations don’t make it any easier either. 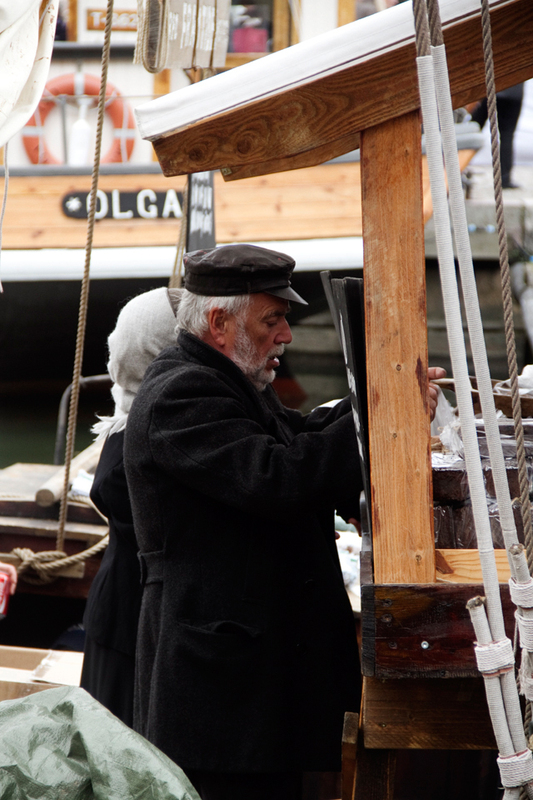 The Baltic Herring Fair is a yearly carnival, also for the fishermen participating. But I truly hope there’ll be future generations keeping the traditional profession alive. 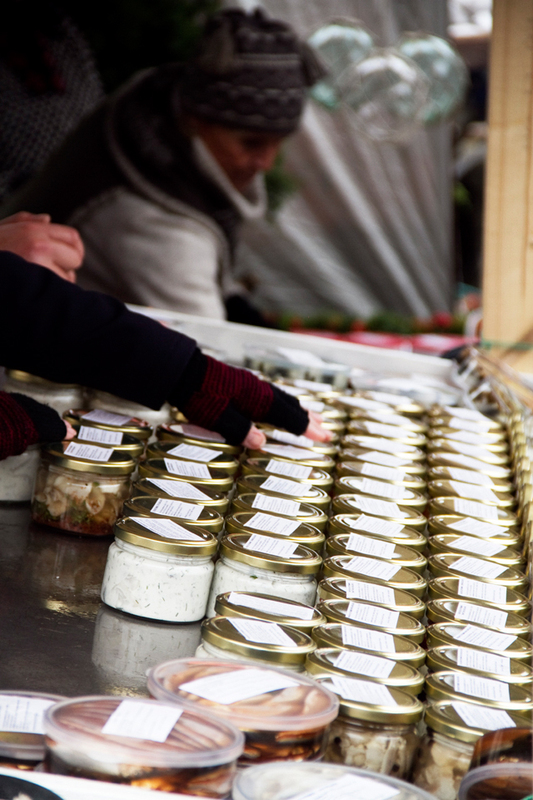 Around the market you find signs for creamy salmon soup and see many people eating fried small vendaces. 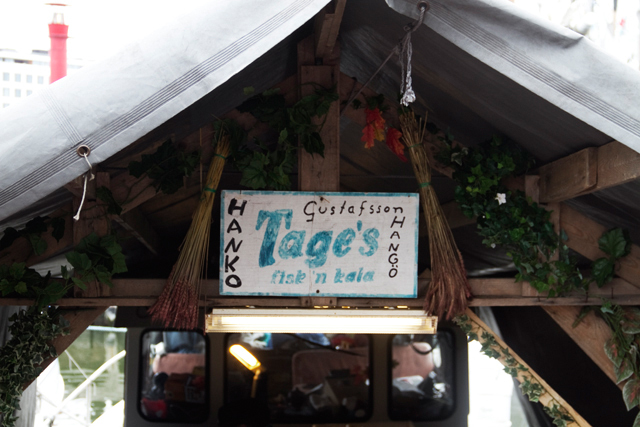 But neither the Norwegian nor the small freshwater fish are the ones I go to eat on the Baltic Herring Fair. 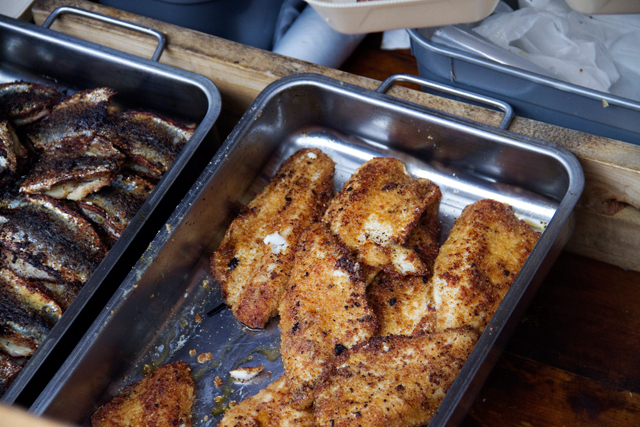 My favourite is the one small fishing boat, where they sell crispy fried Baltic Herring, pike-perch fillets or even flounder fresh from pan as well as tasty fish patties and small 1 € bites of fish on black bread. 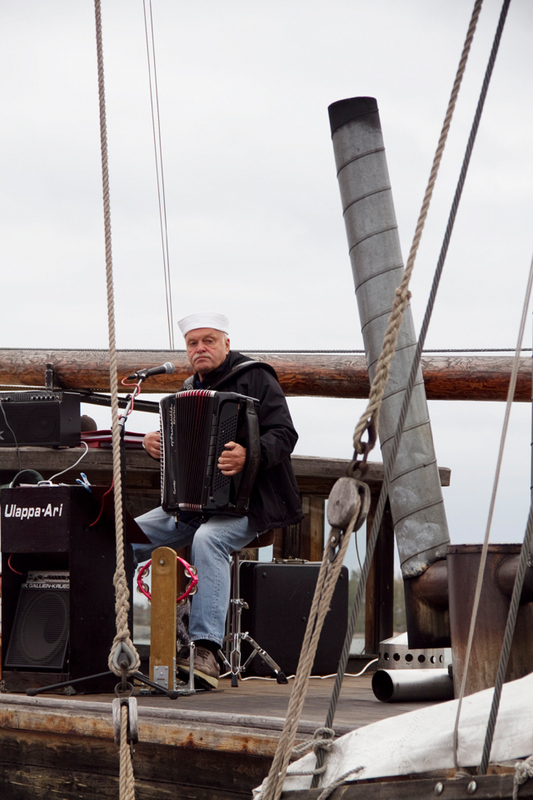 So I’d suggest you to dress up warm, go find that small boat and eat your fresh fish while listening someone play nautical tunes with an accordion. 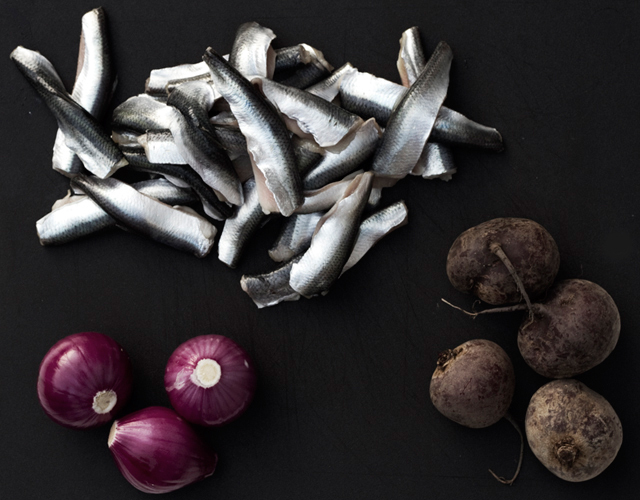 Then buy a pack or two of the marinated Baltic herrings and a loaf of black archipelago bread and go home happy, feeling like a true islander. Do you know the type of classmates, whom teachers love, who take part in everything, run the students’ union and captain the school volleyball team? Well, Kirsti Tuominen is one of those. Nokia career left behind, Kirsti created herself amazing network throughout the city's food & restaurant scene in just couple of years. Freelancing in food-related writing, styling, tv, book, you just name it and at the same time doing her bit for creating projects enriching the local food culture and/or the communal wellbeing. One of the most well-known projects she's busy with, is the great Ravintolapäivä, Restaurant Day. As the communications manager of this global phenomenon she's been invited to talk about the concept also abroad, like in the World Food Travel Summit last year. 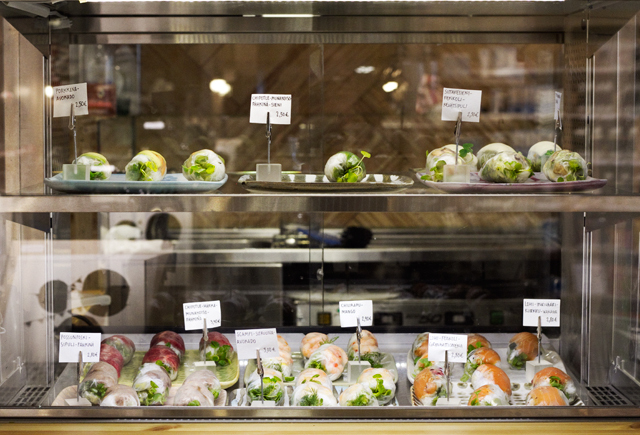 Kirsti says that the whole concept of food culture is still such a new and fresh topic in Finland and therefore the discussion is still on ideological level and within rather small group of people from more or less the same field. Therefore her latest project is The Feast Worldwide. 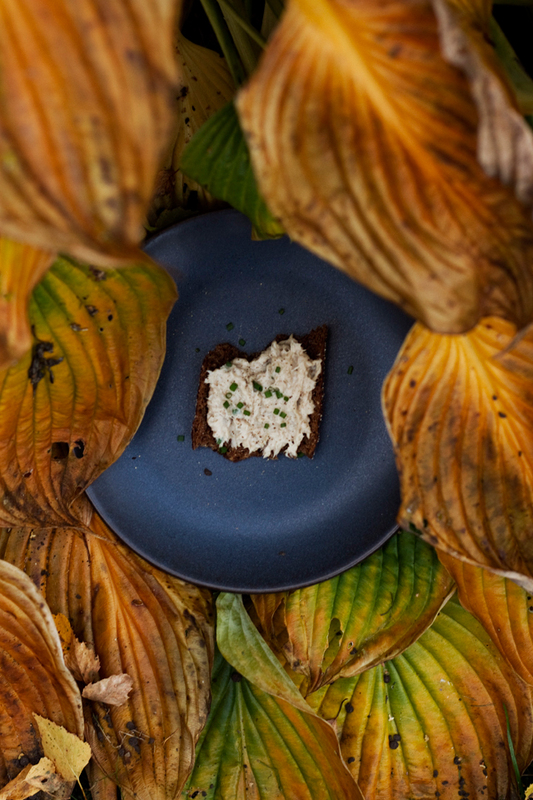 On 11 October, at 7.00pm local time, Helsinki will be one of the 38 cities where a Feast Worldwide Dinner is held. 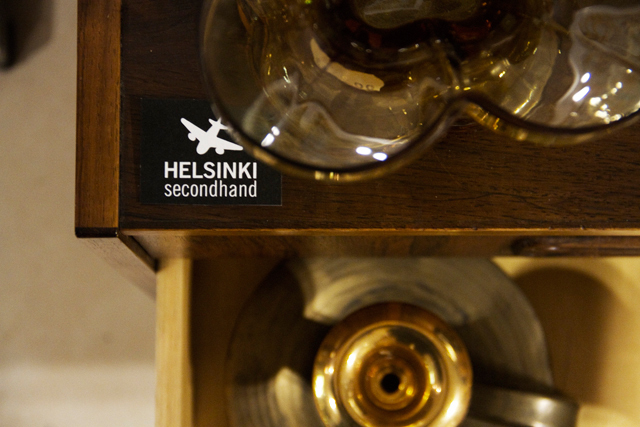 The given main theme is progression and around Helsinki’s dinner table the idea is to find new scalable solutions for food systems, that would make our world a better place. Locally as well as globally. That means no fine-tuning existing ideas, but more figuring out totally new possibilities. The goal is to get people with various standpoints around the same table: Along with the food people also tech pros and marketing aces, but people from the public sector, education and research too. Plus all kind of active citizens who are capable of thinking outside the box. Thinking outside the box is what Kirsti does on a day off too. Besides putting countless pro bono hours in Restaurant Day, she has also set up the Social Beat – strike force for humanity with a group of as effecient friends. Social Beat means sharing communal experiences for those who otherwise wouldn't be able to participate. Like a trip to the woods for retirement home residents. The aim of the project is to lower the threshold for any of us to do some good. Kirsti has always had the urge to make the world a better place. When she was younger, she wanted to be the next Kofi Annan, a bit later she changed her career plans to become a pediatric. Luckily she didn't become either of those, because the grass root level projects she's been involved in are just, well, amazing. The next step she's taking, isn't the small type though. Through some projects she has recognized restrictions in her digital know-how and she decided to do something about it, as she believes mobile technology to be part of future service concepts in all branches from eldercare to wine selling business. So, for now, her freelancing food-related life in Helsinki and Finland is over and she'll be heading to a new position in an international mobile tech company. A pretty wise step to increase the knowledge, I'd say. What’s after that Kirsti, politics maybe? Please?! 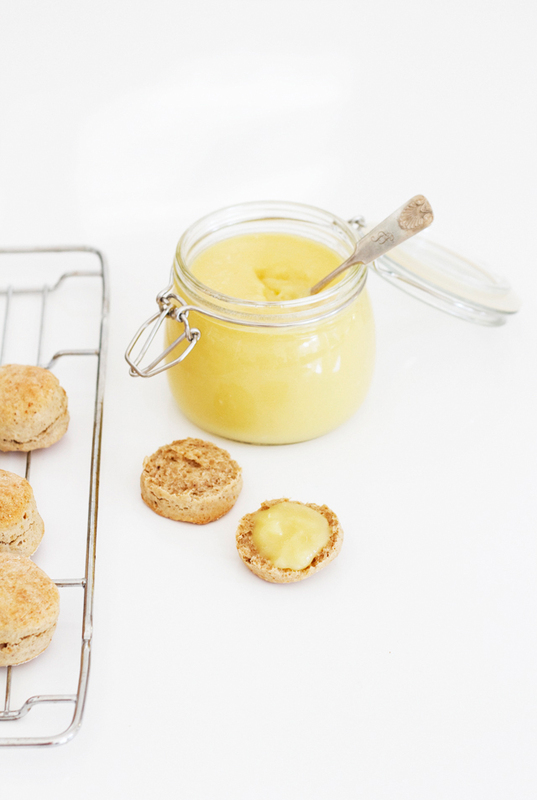 Apple and ginger and cinnamon go together like scones and curd and afternoons alone at home. Pretty darn well that is. 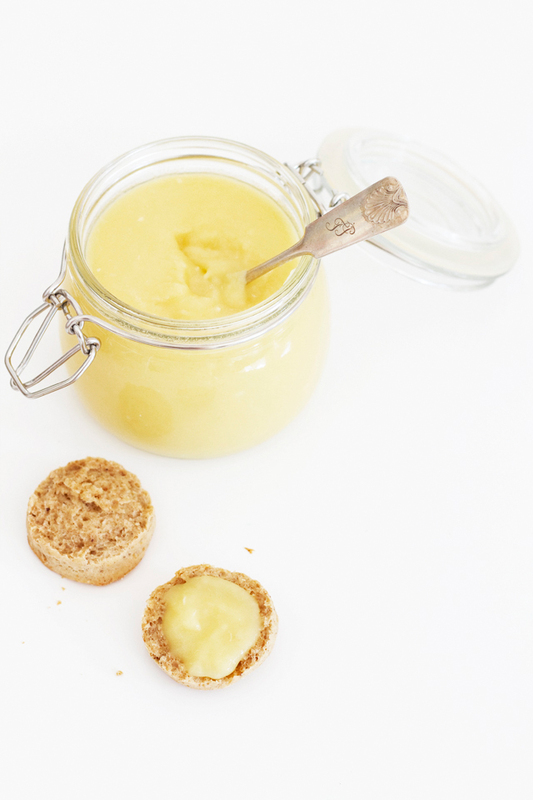 Rub the butter quickly into the flour mixture, until it resembles breadcrumbs. In a separete bowl, beat the egg and whisk together with milk. Pour the egg milk on the dry ingredients and stir just until all ingredients come together. Do not over beat! Turn the dough out on floured surface and knead just a few times to bring it together. Press the dough to a disc, ca. 3 cm thick. Cut out rounds with a cookie cutter or similar and place them on baking tray lined with baking paper. Bake in 200°C ca. 15 minutes. Put the apples and grated ginger into a pan with water, lemon juice and cinnamon sticks. Cook until apples turn soft. Rub through a sieve. Put the apple purée together with butter, sugar and water into a heatproof bowl over a pan of simmering water (or into a double boiler). 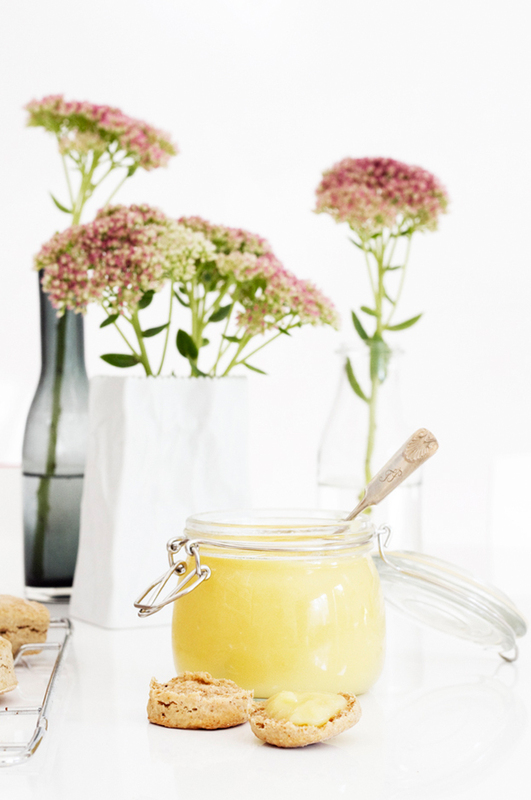 As soon as the butter has melted, whisk in the beaten eggs. Stir the mixture over a gentle heat until it gets creamy and thick. A lunch in Rulla makes me feel like I’m truly healthy living (and clever and young and smart and just a really good person). I start making promises to myself, that include things like more sport and earlier bedtimes and more water drinking. Quoting the recent Flow Festival visitor, Outkast, they are just so fresh and so clean. 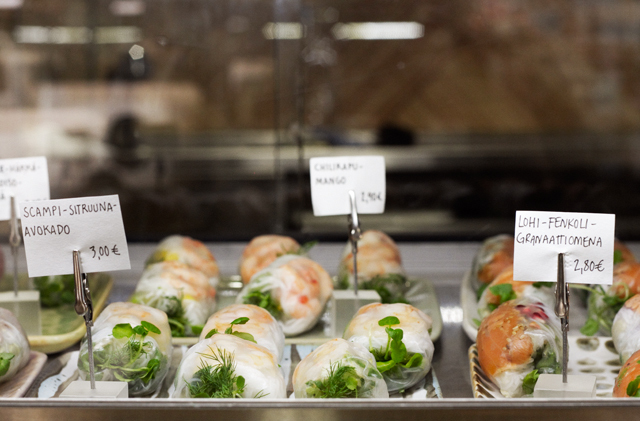 Rice paper roll filled with crispy green mixture of salads, sprouts and herbs, rice vermicelli and salmon, fennel and pomegranate. Or apple and duck. Or eggplant, chanterelles and nuts. Or one of the many other combinations they come up with. Dipped into one of the two flavourful sauces. 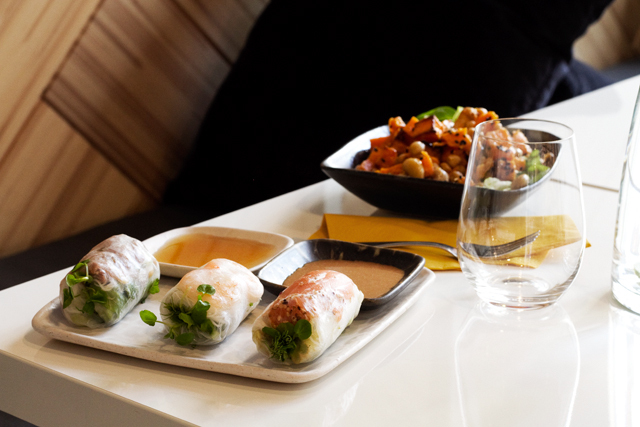 The simplest lunch for less then 10 € consists of three rolls of your choice and either a soup or a salad. And if you feel like it, just upgrade the portion by adding as many extra rolls you like to it. Of course lunch ain’t the only option. I’m sure that a shopping tour for a new pair of jeans is a whole lot of easier, if after trying the first ten pairs you just take a small break with a fresh roll or two and a glass of nice riesling. Or maybe a take away in a park? 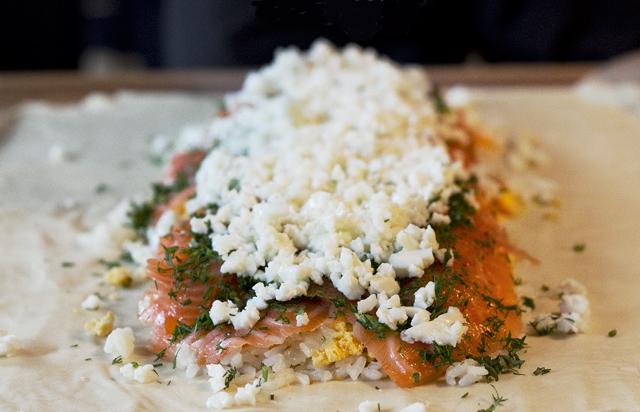 Or perhaps a rolled up dinner? 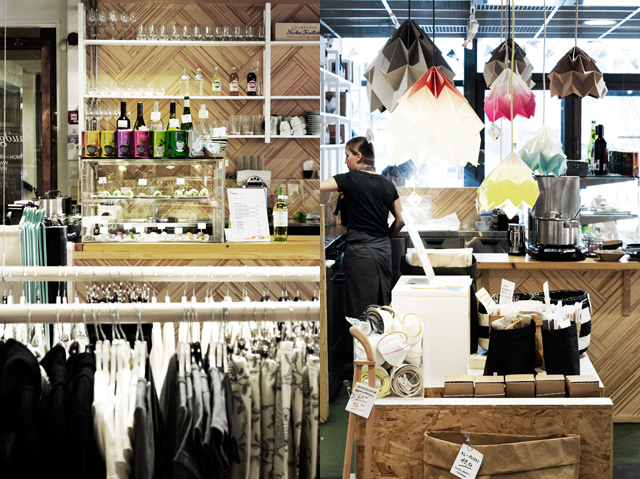 Rulla is found as a shop in shop, or as a restaurant in shop, in Nudge, a city centre located lifestyle shop selling ecological and ethical clothing, cosmetics and home deco pieces. Perhaps you could even take care of the jeans shopping during the lunch break?